Are you looking for the best and high-quality natural products for your customers or yourself? Then you have made the right choice by choosing us. Oriental Group is offering the unique and exclusive cold pressed prickly pear seed oil in Morocco. However, prickly pear seed oil is obtained from the Opuntia ficus indica cactus seed. Furthermore, this oil is rich in a unique combination of components like a high linoleic acid level, a large quantity of Tocopherols. The presence of delta 7 Stigmasterol, which is very rare or seldom element finds in plant life. As a result of this, prickly pear seed oil is rich in anti-oxidative activities, contain a high level of moisturizing power and also cell rejuvenator ability. Prickly pear seed oil has excellent physical properties. Pear seed oil helps in smoothing your skin and gives it a light texture. In contrast to other products, pear seed oil is enriched with minerals. It grants the skin, neck and other body parts proper tonicity. The Most noteworthy thing is prickly pear seed oil is rich in fatty oil that is essential for damage skin and hairs. Moreover, prickly seed oil is also known by other names such as Indian figs, Prickly cactus seed oil, etc. Another property of pear oil, is it easily preserve our cells from the aggressions of time and give toxic texture and firmness. A 100% pure & certified, anti-wrinkle and cold press naturally extracted oil. There are many benefits of using prickly pear seed oil. First of all it is the perfect source of deep hydration. It nourishes face as well as for hairs. Moreover, it also uses as a hair conditioner due to its powerful natural components. · First of all, it is an excellent or great antioxidant source. · Another is it is rich in fatty acids proportion containing Linoleic acids. · Prickly oil is light in use, great smell, quickly absorbable. 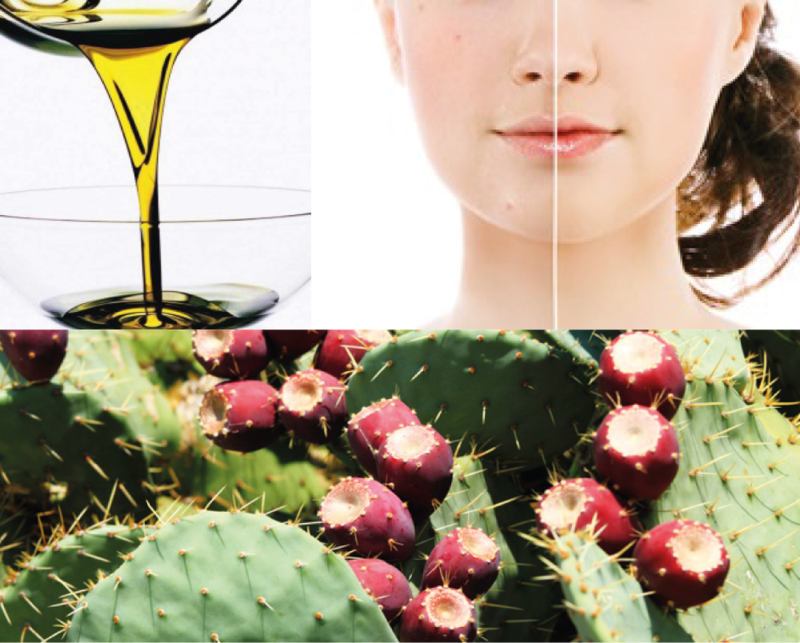 · Moreover, prickly pear seed oil improves the skin’s elasticity and use as an anti-aging formula. · It facilitates dry and damaged skin by hydrating it properly. · It also repairs hair and conditioner the rough and damage hair split ends. · Pear seed oil gives beautiful shape to your nails make them strong and healthy. 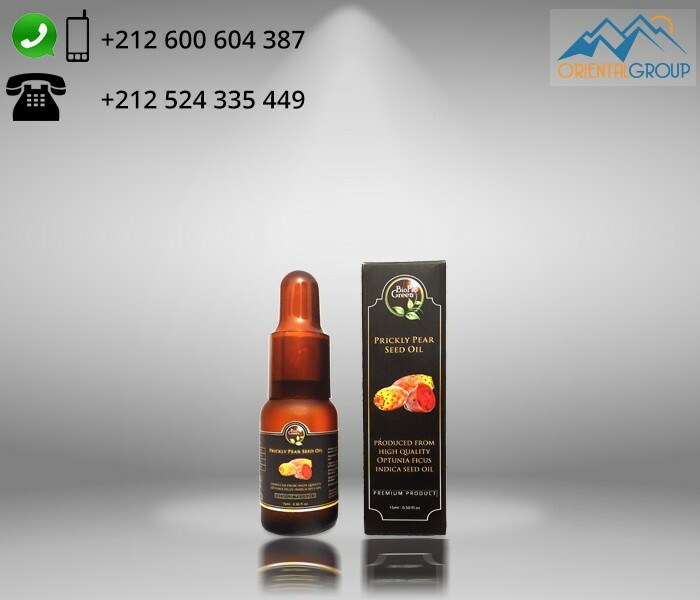 So if you are looking for high quality, pure natural product, Oriental Group is the only provider in Morocco who never compromise on the quality of products. o With the presence of essential fatty acids in the oil, it helps to tighten skin pores by moisturizing them. o Prickly pear seed oil helps in reducing dark circles under eyes and brighten skin due to Vitamin K.
o This oil is purely non-irritating and non-greasy. Soothes skin by hydrating it. This is an excellent oil for your skin! Above all stated benefits, one thing is crystal clear that this can be an excellent addition to your skin care. A strong anti-aging agent that cannot clog pores. Furthermore, it worth the cost, help you to improve your skin and hair health.